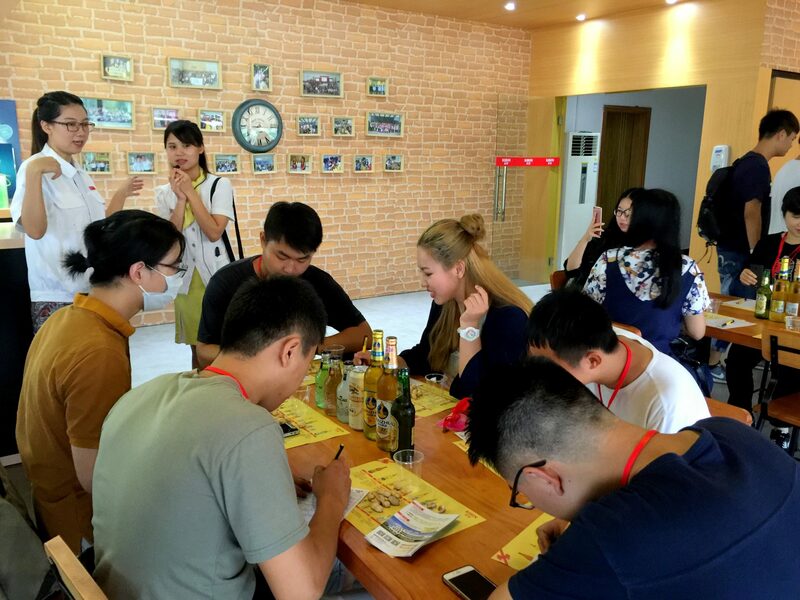 Staff of the brewery introduced about the company’s products, the brewery process and other information to students. 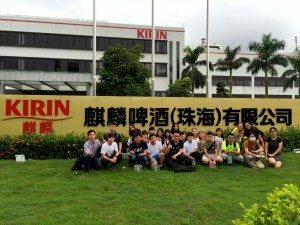 On the afternoon of Wednesday 7th September 2016, 27 students of Stanley Ho East Asia College visited Kirin Brewery (Zhuhai) Co., Ltd., the first overseas factory of Japan-based Kirin Group, under the guidance of Resident Fellow Dr. Kevin Huang. 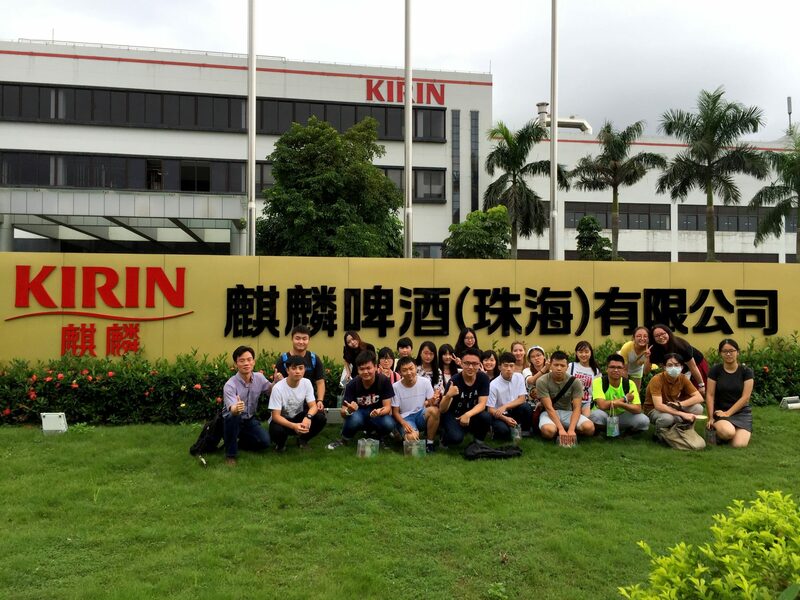 Students learned the brewery process, skills of tasting beer and the corporate strategy of Kirin during the brewery tour. Upon arrival of the SHEAC delegation, staff representatives of Kirin provided an introduction about the company’s products and brands, its structure and operation mode, the birth of Macao Beer, and other background information. As the problem of food safety tends to be growing, customers have developed a stronger awareness too. Therefore, through this visit, students attained a new understanding of this aspect of food production. 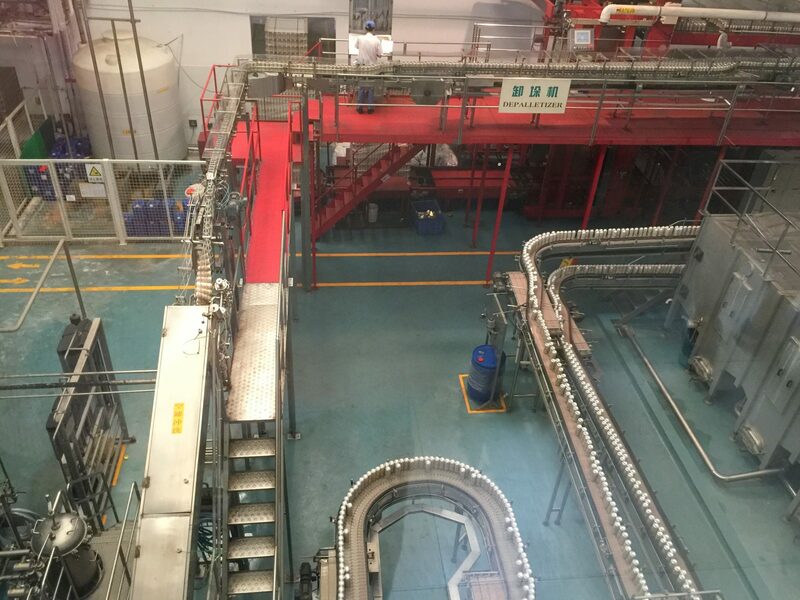 After the introduction, with the company of Kirin staff members, the delegation visited every brewery process, as well as the packaging and delivery stages in various locations of the factory. 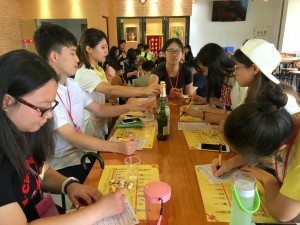 In the end, students were invited to taste different kinds of beer made by Kirin. Kirin Group has strong competitiveness in the international liquor market. Jointly with Taiwan’s Uni-President Group, Kirin Group acquired a state-run brewery in Zhuhai in 1996 to establish Zhuhai Kirin Brewery. In 2005, Kirin Group acquired a 100% stake of the company. This activity helped students understand the whole process of beer-making and the operation and management of a transnational corporation. Students filling up the assessment form after tasting each kind of beer. The packaging and delivery process in the factory of Kirin Beer.